Jul. 23, 2017 5:00 p.m. This year’s winner of the 19th annual Westerner Days Red Deer Motors North American Pony Chuckwagon Championships was Lee Adamson. The final races took place Sunday afternoon at Westerner Park. “I’ve had good running times all week, but my barrels weren’t spectacular. 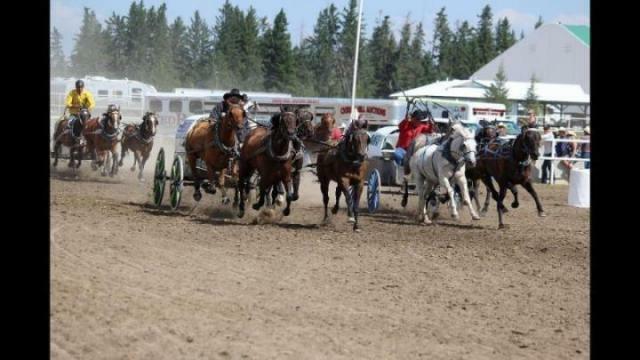 I had to have a really good day and I think we did,” said Adamson, of Camrose, after a close race with fellow past champion chuckwagon racer Louis Johner of Mayerthorpe. John Stott and Garry Theil were also in the final heat on Sunday.